Plastica Limited is the UK’s leading independent manufacturer and supplier of swimming pool products. 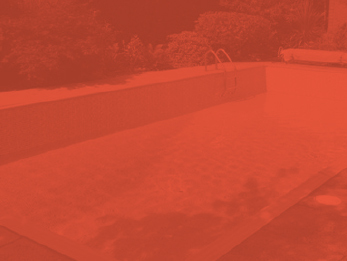 Based in Hastings, the company’s reputation for high quality, competitively priced products is founded on its knowledge and understanding of the wet leisure market and its friendly, helpful staﬀ. Plastica had been using the same software for over 10 years. During this time, the company had grown considerably but no improvements were made to their software to keep up with its growth. The software was unreliable, with the number of systems errors increasing every day. “It was difficult to navigate and simple processes such as raising a purchase order were complex and very time consuming” says Ian Warne, Plastica’s Financial Director. Plastica wasted a lot of time on drawn out processes, which was becoming detrimental to the business. Furthermore, as the time necessary to fix the errors and carry out simple processes increased, so did the costs. The licensing and maintenance costs of the underperforming software were huge, which was another concern for Plastica. After further investigation, it became apparent that multiple spreadsheets were being used across the business and therefore business data was inaccurate and often duplicated. “The software did not produce automated standard business reports and therefore critical information that was needed in order to make business decisions wasn’t available to us” Ian adds. The escalating problem of long, complex processes and inaccurate reporting led Plastica to search for a more efficient software solution. However, they did not have time or expertise to manage the process in-house and they wanted to gain an independent second opinion from outside the business to challenge and improve business processes. “We approached a number of companies but Sentis came out on top as they offered the best service for the most reasonable cost” says Ian. Ian was pleased with the service from the outset. “Sentis provided all the support we needed to be able to select the best software solution and vendor. They took the time to understand our business, our processes and the issues that needed to be resolved”, he continues. Sentis quickly identified Plastica’s exact software and vendor requirements. As part of this, Sentis prepared a full Invitation to Tender (ITT) that captured all their specific requirements and included information that Plastica would have missed out on. “Sentis acted as a first point of contact for the vendors and managed the entire process so I could focus on daily operations, which saved a huge amount of time” Ian highlights. Sentis’ consultants subsequently brought together heads from across the business to form a central team which was crucial to the project’s success as we were able to identify the software requirements of each department to form an integrated software solution. Sentis’ expertise meant that old business processes were challenged and streamlined at the beginning of the project, prior to new software selection and implementation. Sentis helped Plastica select the perfect vendor and software solution, and oversaw the final contract negotiations. The new software solution will improve business infrastructure and will streamline business processes, saving a huge amount of time. Customised reporting means Plastica will finally be able to base business decisions on accurate and complete information, available within seconds rather than hours. Ian adds: “We also anticipate a substantial saving once the software has been live for a few months due to streamlined processes, accurate reporting and significantly less paperwork. “From the first visit, Sentis understood our business, the challenges we faced and quickly suggested a total software solution that has streamlined our business processes and exceeded all our expectations. I would happily recommend them to other businesses that need help managing the process of selecting and implementing new software”. Plastica made an immediate saving of £25,000 due to reduced licensing and maintenance costs.